Hello Students this is the Good News to all who are joining in Me / M.tech/ M.pharmacy/ M.arch /M.arch Etc. 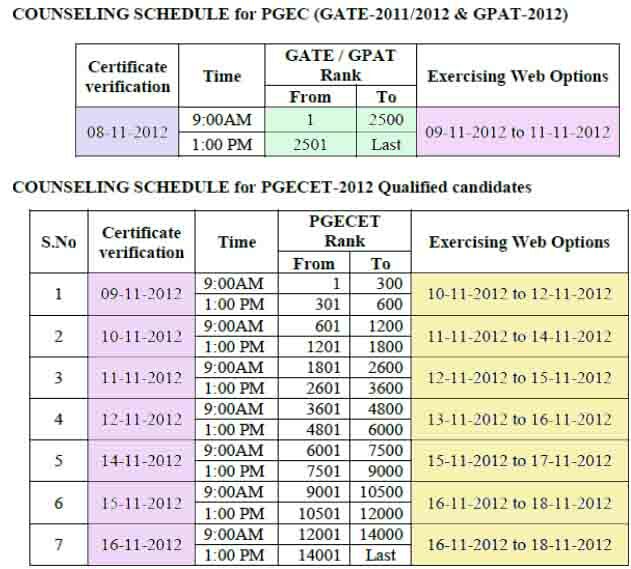 Pgecet 2015 Web Counselling Started From 8th November 2015. So who are attended For Pgecet Certificate Verification those students to Exercising Web Options visit official website pgecet.apsche.ac.in/. 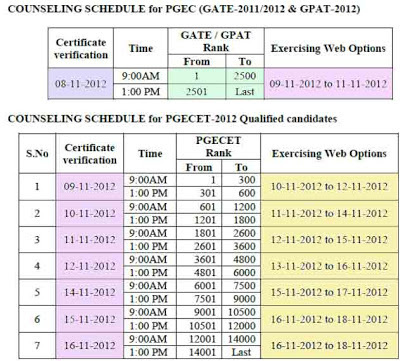 If you have any doubts About pgecet 2015 counselling schedule for m.tech or M.pharm Please comment bellow .